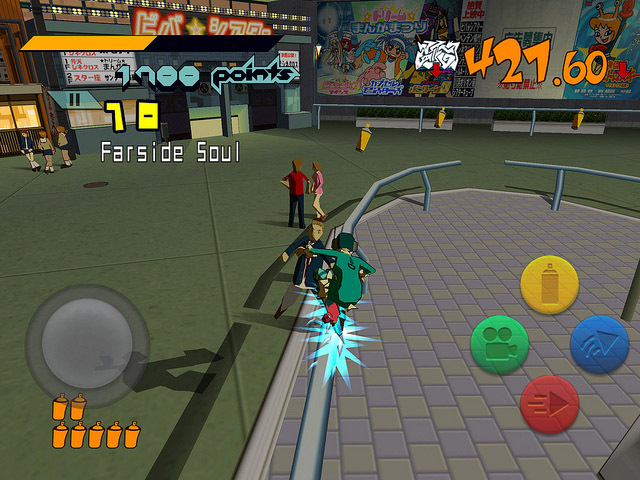 Dreamcast classic Jet Set Radio is getting a portable release on iOS and Android mobile devices as well as PS Vita this month. The PS Vita version will launch on the 20th of November while the iOS and Android versions will show themsevles on the 29th of November. North American PS Vita owners also get a special privilege if they’re subscribed to Playstation Plus. Jet Set Radio will be free for North American Playstation Plus subscribers from November 20th to December 31st. This entry was posted on Tuesday, November 13th, 2012 at 21:35	and is filed under News. You can follow any responses to this entry through the RSS 2.0 feed. Both comments and pings are currently closed.